Los Alumbrados is not only done in Medellín but in the whole country. 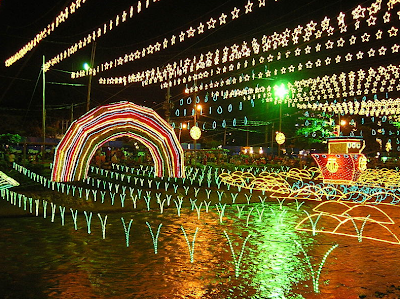 Colombians are very passionate about this event, which turns each city, each building, every house and streets into one very colorful and brightly lit Christmas display of massive proportions. Even when times are tough, the Christmas season will not be complete without the Los Alumbrados. City halls in Colombia offer prizes to houses that have the best alumbrados displays. 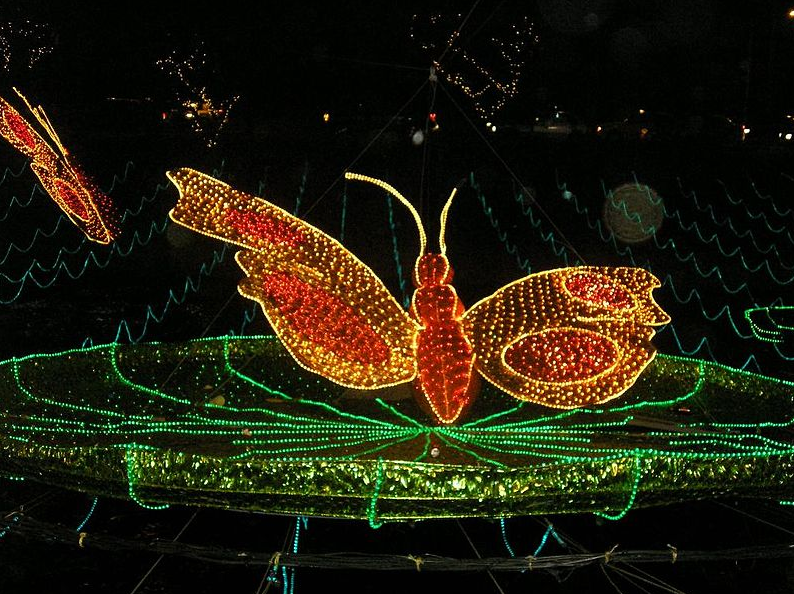 While Los Alumbrados is observed in the whole country, the focus of the celebration is in Medellín, centered around the area near Rio Medellín, at Puente de Guayaquil, which translates to Guayaquil Bridge. Built in 1878, it is the oldest standing bridge across the Medellín River. 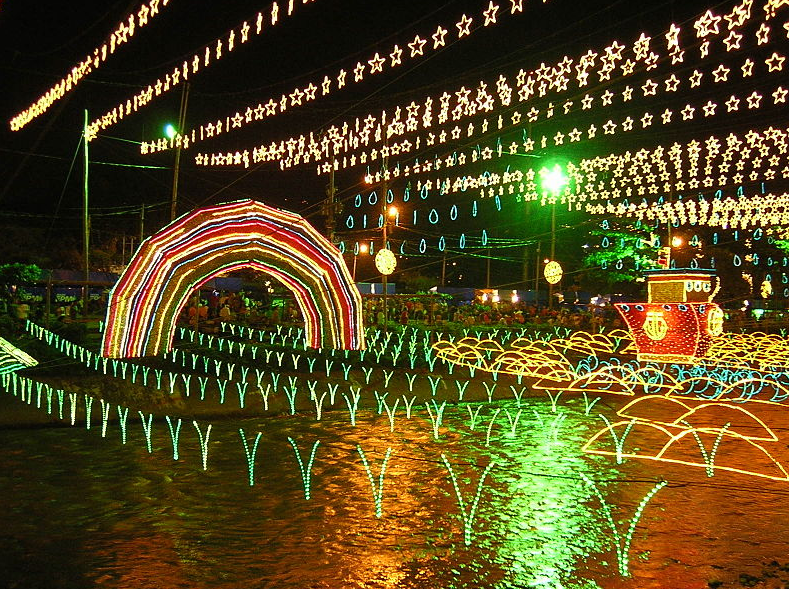 This is where the Christmas lights of Medellín are the most impressive. The Alumbrados in Medellín is the most beautiful, the biggest and the brightest of all Alumbrados in the country. Each year has a different and specially designed theme. Trees, plants, buildings, the bridge, huge 3D figures, exquisite images and designs are covered in LED lights turning the whole area into a glowing display in various colors. Included in the theme are the best representative figures for each region in Colombia. The project is such a grand scale that an industry grew out of it for the design, creation and installation of millions of Christmas lights. These lights are later sold to Europe and other South American countries after they have been used. This year 2012, the theme is Nature, Light and Life. To fully enjoy the whole spectacle, start your walk from Parque de los Pies Descalzos, a beautiful park in the center of the city and head towards the side of the river. After making a tour around the huge display area, you could go up the Cerro Nutibara, a small hill near the city that could be accessed on foot, by car or by bus. The hill is also decorated, not as grand as the lights near the river but equally impressive. Up on the hill you will get a spectacular view of the city and more appreciation for the beauty of the Los Alumbrados de Medellín.